Curved scrolls on the panel footboard and headboard of our Elizabeth's Tradition Sleigh Bed provide a touch of elegance to any bedroom. 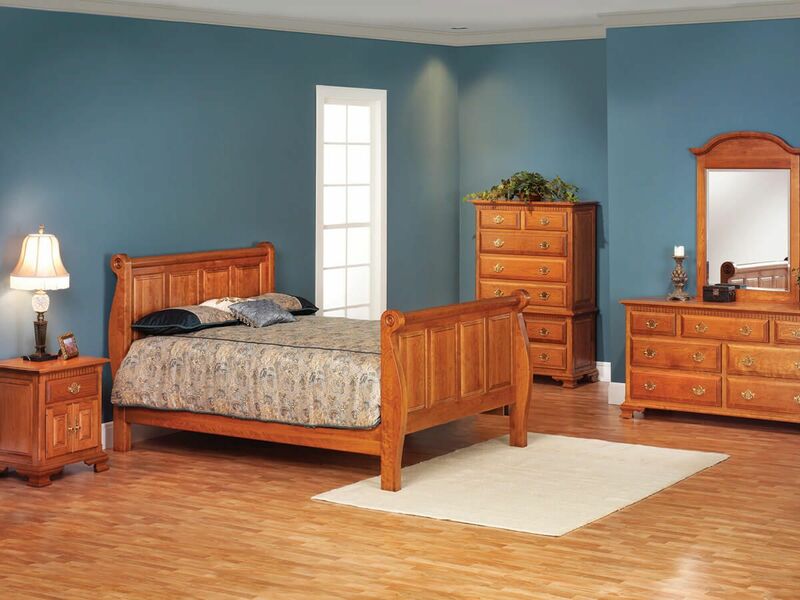 The Elizabeth's Tradition Sleigh Bed is handcrafted of solid hardwood using durable mortise and tenon joinery. 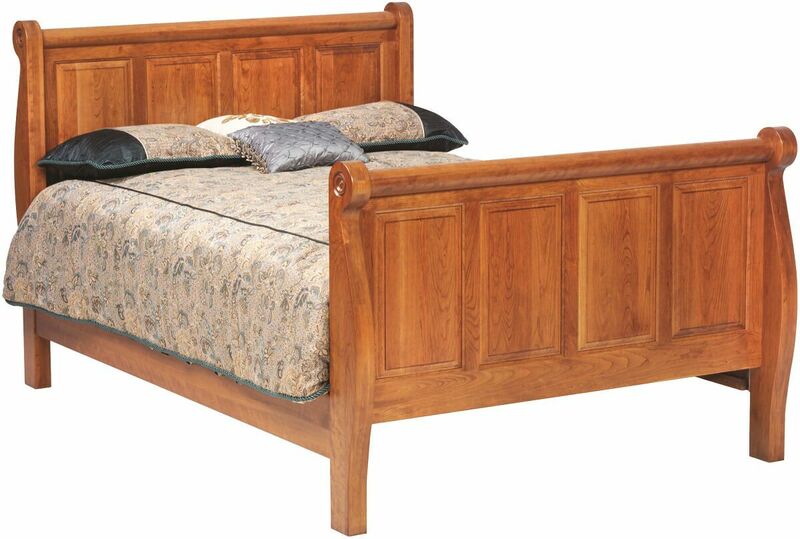 King and Queen sized beds include added mattress support with legs under the bed slats. King sized beds boast a support leg at the center of each slat. 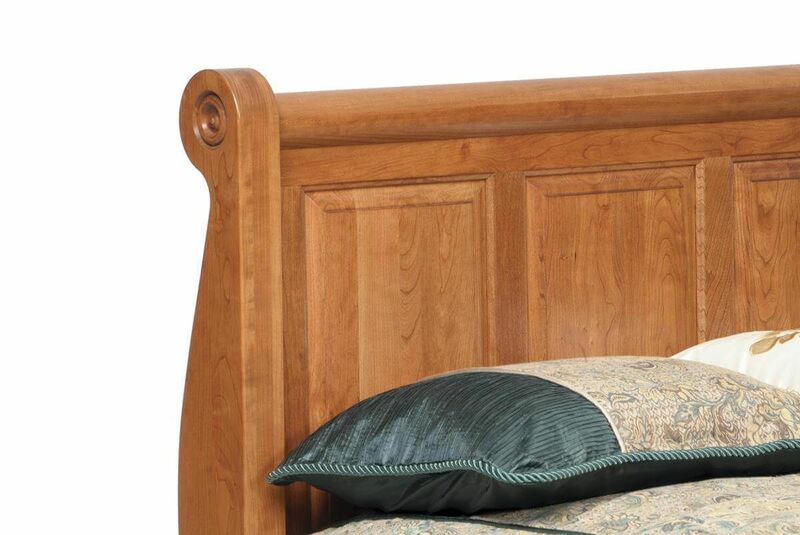 Though pictured in Cherry, our Elizabeth's Tradition Sleigh Bed is available in any offered wood species. 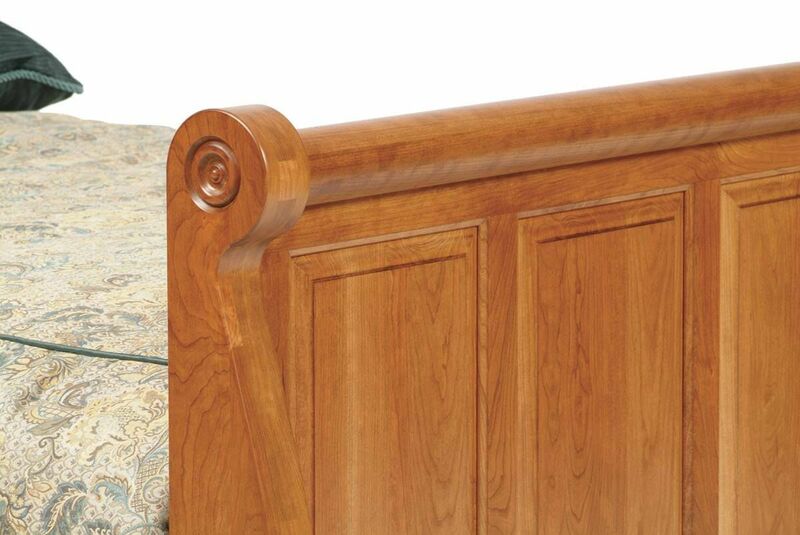 To obtain the pictured look on your Amish sleigh bed, choose our Cinnamon Stick finish on Cherry.